SACU ChinaCafe 1 took place on 19 February 2019. The theme of this year’s three café-style meetings is ‘Health and Wellbeing’, co-hosted by the Lau China Institute, King’s College London (KCL) at Bush House, Strand Campus. SACU and the Lau are working in partnership to create a UK-Chinese understanding of Health and Wellbeing with a particular focus on supporting KCL students and their mental health needs. Our first session featured Jessica Darling who spent her childhood in China with her father Dr Joshua S. Horn, author of Away with All Pests: An English Surgeon in People’s China 1954-1969. He made a great contribution to improving the health of impoverished people. Jessica undertook all her education in China, and in Chinese, and returned to UK when she was 21. After completing her nursing training, she returned to China and completed an acupuncture apprenticeship course in Beijing. She set up an Acupuncture Centenaries in London and also worked on an innovative project offering complementary medicine in a hospital outpatients department taking referrals from hospital consultants and local GPs. Jessica also offers Chinese Herbal Medicine and nutrition to her patients. Jessica was therefore ideally placed to start this series on the theme of ‘Health and Wellbeing’ and help us think about English-Chinese cultural understanding of health and wellbeing. The second and third SACU ChinaCafés are set to develop this theme with the students. Dates will be confirmed in our eNewsletter and social media channels. Our Chair, Zoe Reed, is also able to draw upon the support of her professional colleagues at the South London and Maudsley NHS Foundation Trust (which specialises in mental health). 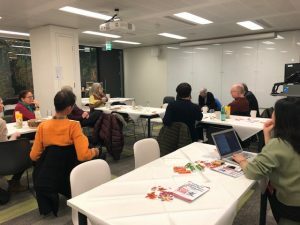 SACU ChinaCafés are small, informal meetings with the room laid out in café-style, with refreshments, so that conversations with other participants about the theme are relaxed and easy. They are membership-only spaces with newcomers very welcome to join at the first SACU ChinaCafé they attend. All student non-members pay £8 which entitles them to a year’s membership of SACU and free attendance at all future SACU ChinaCafé meetings as well as the other benefits of membership. SACU ChinaCafés give younger people a chance to be involved in SACU. 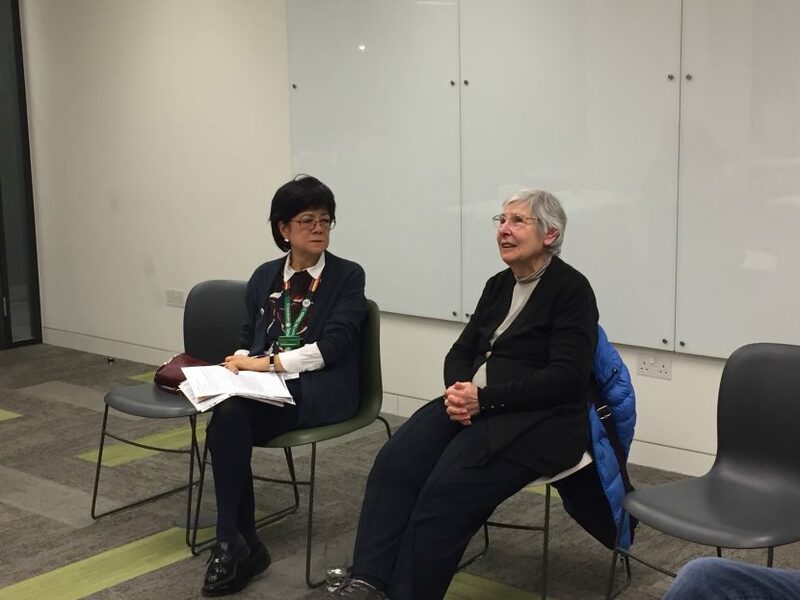 These café-style discussions also give SACU the opportunity to pursue that part of our mission which is to educate and support Chinese people about Britain when they are in the UK. Of course, longer-standing members of SACU are also most welcome to come along and will have a valuable contribution to make.